[IKO　MATSUSHIMA]　INTERNATIONAL KARATE ORGANIZATION KYOKUSHINKAIKAN » Blog Archive » The official site of I.K.O. MATSUSHIMA South Africa is renewed. You can enjoy many photos of 4th World Weight Division Championships 2014. The official site of I.K.O. MATSUSHIMA South Africa is renewed. 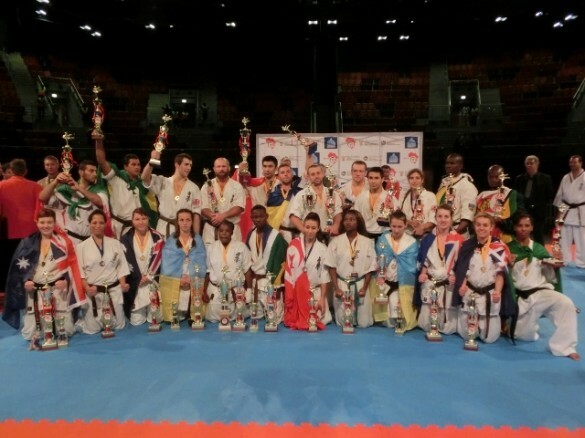 You can enjoy many photos of 4th World Weight Division Championships 2014. The 24th I.K.O.MATSUSHIMA Gumma Kyokushin Karate Championships was held. 2012 Chile National Championships Kyokushin Matsushima will be held on 17th Nov.
Seminar and Dan grading test were held in Lebanon on 8th April 2018.